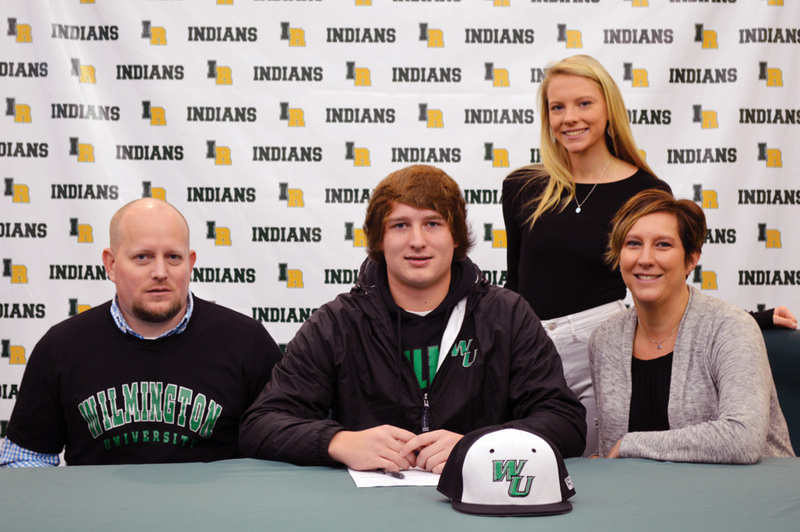 Indian River senior J.J. Killen announced he would be signing with Division II baseball program Wilmington University to continue his academic and athletic careers. The pitcher/first baseman chose the Wildcats over Delaware State. A high-school student-athlete often has a lot of variables to consider when deciding where to go to college — proximity to home, feel of the campus, success of the program… so on and so forth. For Indian River High School senior J.J. Killen, Division II Wilmington University just felt comfortable, and so the pitcher/first-baseman has decided to become a Wildcat to continue his academic and athletic career upon graduation from IRHS. Killen has done quite well for himself over the past year. He helped lead the Indians to a South Division title last season and a berth in the DIAA Division II state playoffs, while garnering All-State honors as a utility player as well. He also earned his way onto the 2018 Delaware South Carpenter Cup team, playing in the college showcase tournament for high-school players. The son of Jason Killen and Melanie Petrie, J.J. Killen will be majoring in sports management on the Wilmington campus come the fall. While he is about to have surgery to repair an injury to his shoulder that he sustained this past football season, Killen said he is confident he will be fine for the next fall season. Killen was performing very well for the IR football team this past season before the shoulder injury in the Indians’ win over Seaford on Oct. 12. Even with his shoulder hurt, Killeen nonetheless sealed the deal for IR’s win that night with a game-ending interception.